Description - Shaw's New Bay carpeting features a fun, tropical print that is sure to liven up any space. The attractive color options and eye catching design look great anywhere that needs some fun. 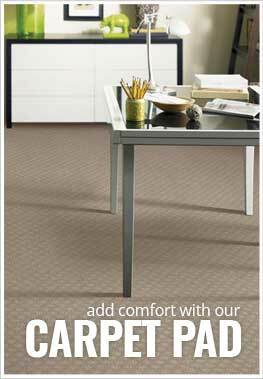 This durable yet comfortable broadloom carpet is backed by a 20 year warranty and is Made in the USA. Face Weight - 9 oz./sq.yd. Recommended Uses - New Bay carpeting is recommended for use in many high traffic and versatile spaces, including bedrooms, waiting rooms, hotel lobbies, rooms, offices, shops, and more. Beautiful and unique color options.